A bride on her wedding day. She shines, she has such a great demeanor, look, and the way she does her hair and makeup, and then wearing that bridal dress that she chose from the many amazing bridal designers. I am honored when clients looks for Palmetto Dunes weddings photography on the internet, looking for that special historian wedding photographer in Hilton Head, South Carolina, to document her day. When I am part of this magical day, when I get to the bridal suite to capture the details, and the bridesmaids and the bride, I always make that time to capture the bride in her element. Being that most times I do capture the bridal portrait months before the wedding, you also have to make sure that you capture her once again on her special day. 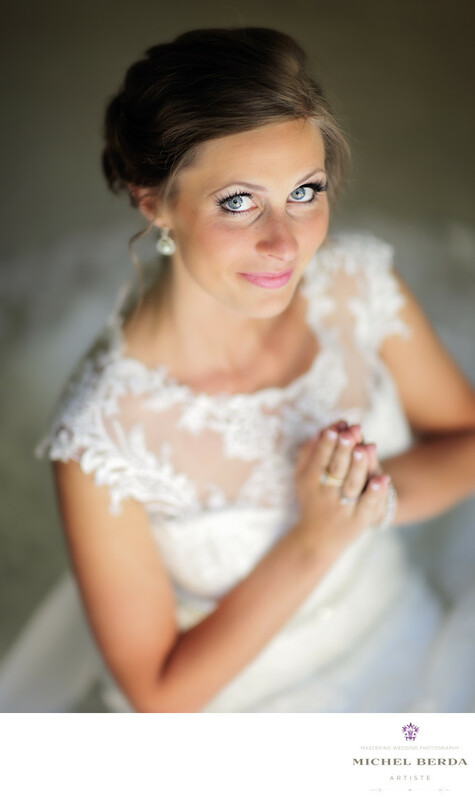 While the day goes by so quick and my timeline allows me to have that time, I love coming back into the room when she has her dress on and pose the bride in the right light, and create a stunning portrait like this. I am so honored and grateful for my clients and for offering this venue Palmetto Dunes wedding photography.